Abuja, Nigeria. March 13, 2013 - Latest weekly poll results released by NOI Polls have revealed that majority of Nigerians (90%) agree that Immunization is beneficial to the health and wellbeing of children. In addition, 8 in 10 Nigerians (83%) disagree with the controversial view that the Polio vaccine is intended to kill or harm the reproductive health of children. Also, effective communication has been suggested as key to improving the success of immunization programs. These were three key findings from the recently conducted Immunization poll done in the week of March 4th 2013. In the light of media reports on controversies surrounding immunization and vaccination programs; the recent killing of health workers by unknown gunmen, and the suspension of a radio station for broadcasting controversial information regarding the immunization program; NOI Polls sought the views of Nigerians concerning the issue of immunization and vaccination. It is expected that this poll will beam the search light on citizen perception towards immunization programs and serve as background to encourage further discourse around how immunization processes can be improved. Respondents to the poll were asked five specific questions. The first question sought to understand the level of awareness of the Government’s policy on Immunization. Respondents were asked: Are you aware of Federal Government’s policy to provide free Immunization and vaccination to the public? Results indicate that the overwhelming majority (92%) responded affirmatively indicating that they are aware of the policy of the Federal Government to provide free immunization to public. On the contrary, a meager 7% responded negatively, indicating they are not aware of the policy. Respondents were subsequently asked: To what extent do you agree or disagree that Immunization/Vaccination is beneficial to the health and wellbeing of children? From the results, 48% of respondents said they “Agree” that Immunization/Vaccination is beneficial to the health and wellbeing of children, followed by 43% who “Strongly agree” with the statement. Also, 3% said they “Neither agree nor disagree”; while 3% and 4% said they “Disagree” and “Strongly disagree” respectively. Overall, about 9 in 10 Nigerians (48% + 43%) are of the opinion that immunization and vaccination is beneficial to the health of children. In addition, when the results are analyzed in more detail, some interesting facts emerged. The South-West region has the highest proportion of respondents (55%) that strongly agree with the statement that Immunization is beneficial to the health and wellbeing of children. Also, the results reveal that more female respondents (49%) strongly agree versus male respondents (42%). 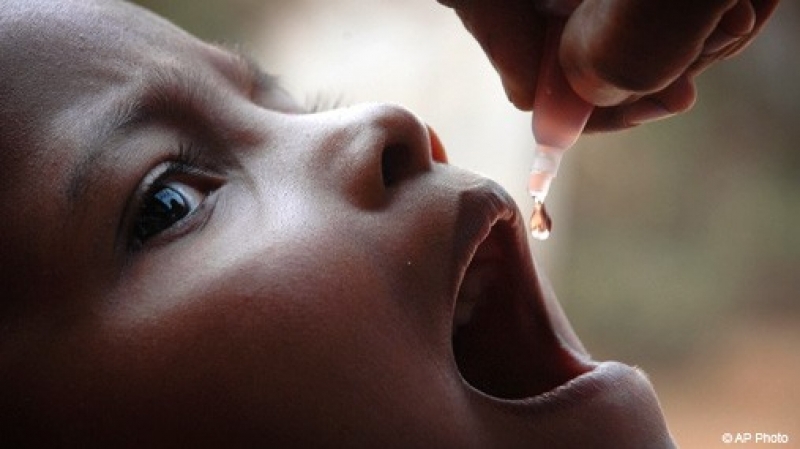 Furthermore, recent happenings in some states have brought to light the controversial belief by some stakeholders that the polio vaccine is against religion and is intended to kill or harm the reproductive health of children. Consequently, respondents were asked: To what extent do you agree or disagree that the polio vaccine is intended to kill or harm the reproductive health of children? The results indicate that the majority (51%) of respondents “Disagree” that the polio vaccine is intended to kill or harm the reproductive health of children; followed by 32% that “Strongly disagree”. Also 4% of the respondents stated that they “Neither agree nor disagree”; while 6% of the respondents (each) “Agree” and “Strongly agree” with this controversial view. Overall, 83% of Nigerians do not agree with the controversial view that polio vaccines have negative effects on the health of children. Once again when looking at results in more detail, respondents resident in the South mostly disagree and strongly disagree that the Polio vaccine is intended to kill or harm the sexual health of children. However, the North East has the highest proportion of respondents that strongly agree (22%) and agree (19%) with this statement. The North West has the highest proportion of respondents that neither agree nor disagree. Therefore results clearly highlight that the misconception about the polio vaccine is a pertinent issue in Northern Nigeria that needs to be addressed. In February 2013, the media reported the killing of nine health workers by unknown gunmen in two separate shooting incidents as they were administering polio vaccines in Kano. Also, three medical doctors working at a government-run hospital in Yobe state were also killed in a separate attack. As a result, respondents were asked:What is your opinion about recent killing of health workers? Overall, the majority (59%) of the respondents were of the opinion that “it is very bad and shameful”; followed by 31% who think “It is sad & uncalled for” and a meagre 2% were neutral about it. It is worth noting that no single respondents interviewed had the opinion that killing is a good or that it serves the health workers right. However, 8% of respondents declined to answer the question. Finally, respondents were asked: What suggestions do you have to improve the Immunization/Vaccination program in Nigeria? The vast majority (44%) of respondents suggested that better communication efforts were needed to educate the public on the benefits of Immunization and Vaccination. This is followed by 15% who were of the opinion that health workers require better training to be able to convey the benefits of their activities to the service users. Also, 13% suggested that religious and political leaders need to be fully involved in promoting immunization programs. Other suggestions include: logistics for vaccines and immunization materials have to be improved (12%); better coordination between the Health ministry and local partners (9%); and the provision of security for health workers (3%). These poll results affirm previous findings from the Gavi Alliance, which suggested a reappraisal of the national polio vaccination strategy. They further emphasised the need for all stakeholders to be involved in the polio eradication effort; with a focus on integrating polio vaccination into the general baby vaccination programme, and strengthening existing health systems. Vaccination services also need to be part of the healthcare intervention package within primary healthcare centres and taken to the children through outreach clinics. In summary, results indicate that the majority of Nigerians are aware of the Government’s policy on Immunization; and about 9 in 10 Nigerians agree that immunization is beneficial to the health and wellbeing of children. The results also revealed that the majority of Nigerians do not agree with the controversial view that the polio vaccine has negative effects on the reproductive health of children nor do they support the recent killing of health workers. In conclusion, the key suggestions given to improve the current immunisation program are to have better & effective communication strategies to educate the public on the benefits of immunization and to gain the support of religious and political leaders to champion immunization schemes. Such involvement in programs can help to create mass appeal and provide weight to correct the misconceptions and myths surrounding immunization programs, particularly the polio vaccine.